MTV Shuga Naija Auditions are Back! MTV Shuga is back in Nigeria and that means auditions are too! If you’ve ever watched an episode of Shuga Naija and thought you could act alongside Timini Egbuson or Jemima Osunde, then this is your chance. The open auditions will be held on Thursday, April 4th at the Classique Event Centre, Lagos. And this time we’re making it even easier for budding actors to take part, with pre-registration that offers fast-tracked access upon arrival at the venue on audition day. 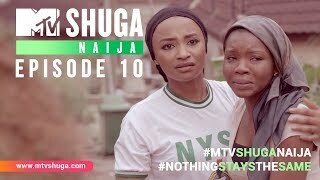 MTV Shuga has been at the forefront of attracting and developing new acting talent including: Timini Egbuson, Emmanuel Ikubese, Bukola Oladipupo, Helena Nelson and Jemima Osunde; apparent in attracting over 1700 hopefuls to the open auditions in 2018. MTV Shuga Naija would-be actors will be judged by a diverse range of industry experts and selected based on their acting skills and originality. MTV Shuga continues to champion conversations about real issues affecting youths using relatable characters and stories that revolve around contraception, sexual health, family planning, gender-based violence and other social issues. For updates on the auditions and more about MTV Shuga Naija, keep locked in to all our Shuga Naija social platforms: @mtvshuganaija on Facebook and Twitter and @mtvshuganaija_ on Instagram using the hashtag #MTVShugaNaijaAuditions. Can auditions be done online for those residing in other states? Am 17 going to be 18 may can I apply? Please you can consider does of us in port Harcourt. Can i come for the auditions without online registration?